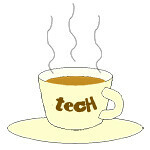 anime « Tech bytes for tea? Here’s a selection of interesting tech events happening this week (11-17 November 2012). It is not an exhaustive list and represents only a sampling of events that gives a taste of the tech pulse in Singapore. This is a really quiet week in the region, partly due to a public holiday (Deepavali) in Singapore, Malaysia and Indonesia. You can see this selection of events in the right sidebar on every page. ASUS is launching the PadFone 2 smartphone with tablet dock 2-in-1 device, while Sennheiser is partying in Zouk come end of the week. Otherwise all’s quiet, before the madness of SITEX 2012 rolls into town next week.